99% of global data traffic is actually transmitted through large cables resting on the bottom of the oceans, long hundreds of thousand of kilometres and at depth such as to be comparable to the highest mountains on the planet. How are submarine cables assembled for telecommunications? 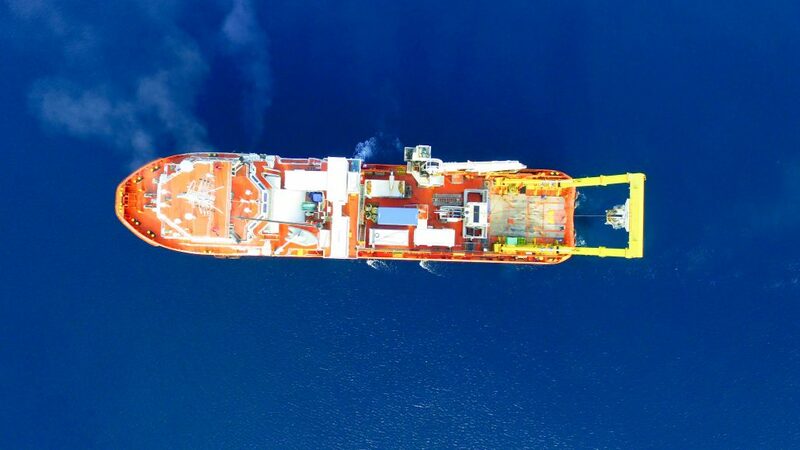 Generally these cables are laid at the bottom of the seas with special ships, even though there are many aspects to be taken into consideration during the laying process. Some of these are the possible presence of marine flora or fauna such as plants, fish or coral. It is also important that the ground on which the cables will be laid is flat and without rocks that could damage them. How big are the cables? Generally the size of cables varies depending on the depth at which they will be laid. Those destined for the greatest depths will not be particularly thick as there are actually few dangers that might affect them in the abysses of the ocean. The matter is quite different for cables stretched in shallower waters, where fish (often sharks) might attempt to bite them and quite badly damage them. If talking about length numbers are very, very huge: the cable that connects Australia to Singapore is 9.000 km long. Using submarine cables for telecommunications is an efficient and safe but it is also an ancient practice. In fact the first installation of a cable for communications via telegraph goes back to 1854, linking Ireland with Canada. Not a small feat, if we think we are referring to a period in history when Abraham Lincoln was a candidate in the Senate of the United States. The debate today: submarine cables or satellites? Space activity is widely used nowadays. From explorations journeys to telecommunications satellites. Even though today satellites represent an impressive step forward for science, they are affected by two issues that are difficult to solve: latency and “bit loss”, the inevitable loss of data during the exchange. A practical example of this? Antarctica is the only area on Earth not connected to the network via cables, relying exclusively on satellites. Inevitably the speed of connection is quite significantly affected and research stations produce much more data than they are able to transmit through.